Our Story | Assembled Light Inc.
To learn about our firm and its values, we encourage you to read this post about the story and meaning behind our name, Assembled Light. An advocate for sustainability in all aspects, Agata Mancini is an eternal optimist, vegetarian, architect, mother, wife, foodie, photographer, and a minimalist-wannabe. 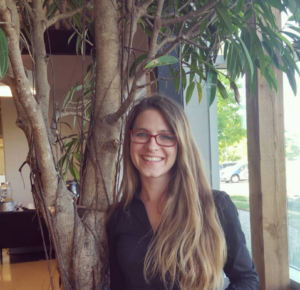 Originally from Krakow, Poland, she spent most of her childhood in the Niagara Region, before studying Architecture at the University of Waterloo. Until 8 years ago, quite randomly, Agata found her way to Hamilton due to an available position at a local architecture firm, and though she had spent very little time in Hamilton before relocating, she realized quite quickly that she felt a deep connection to the city and wanted to be a part of its future. In 2016, after seeing a growing interest in Hamilton and the surrounding area for thoughtful, contemporary design on a smaller scale, Agata started Assembled Light Inc., to focus mostly on detail-oriented, modern, residential design. She remains an active member in the Hamilton-Burlington Society of Architects and the Young Architects of Hamilton; two groups that advocate for architecture in the area, and whose members have organized many initiatives to spark a conversation about architecture among the general public, and to promote its importance as a cultural movement. Agata aims to contribute to healthy city-building, designing environments that have a positive effect on their users, and to help people see the importance of design in our daily lives: from the utensils we hold in our hands, to the buildings that surround us.